Forbes and Orvis award-winning Montana fly fishing lodge featuring world-renowned trout waters, elegant western cabin accommodations and gourmet cuisine. Escape to Montana’s historic Firehole Ranch to fish the fabled waters of the Rocky Mountain West. We fish legendary rivers including the Madison, Yellowstone, Henry's Fork of the Snake, Gallatin, Firehole and the Lamar, to name just a few. Enjoy absolutely unforgettable fishing in some of the world’s most spectacular scenery. The Firehole Ranch is 640 acres on the shores of Hebgen Lake. The beautifully preserved historic log lodge with its towering rock fireplace acts as home base for your unforgettable experience! The absolutely unheard of variety and abundance of legendary trout waters surrounding the Firehole Ranch offer virtually every type of Western fly fishing experience imaginable. Here you can tempt those wily trout with wet or dry flies, nymphs, or try a tandem rig. Opportunities abound for every type of approach, walk/wading or floating. Our historic, landmark lodge provides discriminating fly fishing enthusiasts an intimate, unforgettable retreat. 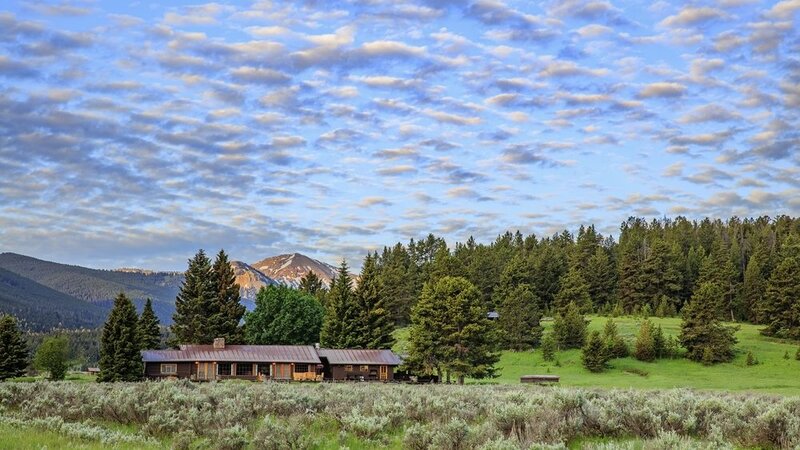 Nestled on the shores of Hebgen Lake, Firehole Ranch is a cultural and architectural delight. Handcrafted from surrounding lodgepole pine in the 1940's, the main lodge and cabins are lovingly maintained to retain their original style, elegance, and grace. Whether you are seeking a memorable adventure as a couple, with your family, friends or colleagues, we are here to ensure you enjoy an idyllic stay and to meet your every need. Please contact us so we can help you plan your escape to Firehole Ranch.